Mesa Falls Lodge is a newly remodeled and expanded cabin, it’s located on the banks of the Henry's Fork River in beautiful southeast Idaho. 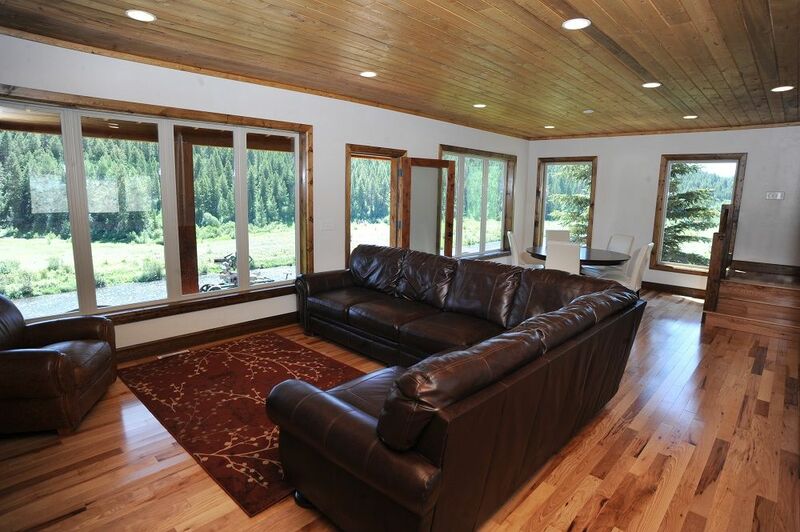 The cabin is nestled in the trees with an amazing view of the river. With five bedrooms plus a bunk area, four bathrooms & two family rooms, we’ve got room for the whole family. Booking your stay at Mesa Falls Lodge is easy. Check our calendar to make sure your dates are available. Once you’ve confirmed your dates, the choice is yours book direct with us and save or book with the convenience of VRBO.